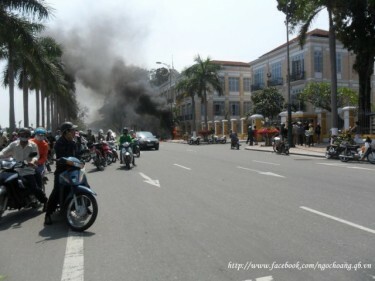 A Vietnamese engineer named Pham Thanh Son apparently set himself afire to protest the confiscation of his family’s property by local authorities. 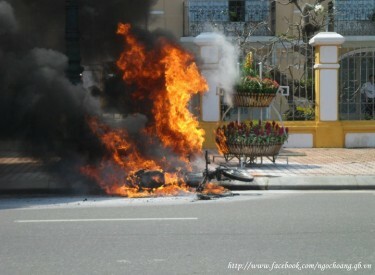 According to the blog Danlambao (which means citizen journalists), Son's self-immolation occurred on February 17 at 12:30pm outside the municipal offices of Vietnam’s fifth largest city. Son visited the People’s Committee of Da Nang earlier in the day to petition his case. When authorities refused to hear his appeal, the young engineer set fire to himself and his motorcycle on the sidewalk outside. Facebooker Tieu Dieu posted the pictures online. Meanwhile, authorities reportedly posted plainclothes police outside Son’s family residence and limited the family’s ability to receive visitors. 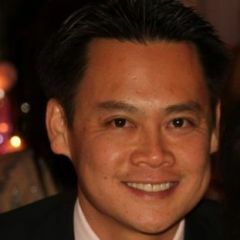 The underlying cause for this sad incident was the corruption surrounding the Cau Rong (Dragon Bridge) project. It is known that the family of Pham Thanh Son repeatedly petitioned for adequate compensation for their property. Their appeals went nowhere as authorities went ahead with the project. Da Nang, located along Vietnam’s central coast, is in the midst of a major construction boom. Initiated in 2009, Cau Rong is a 667-meter long bridge currently being built over the Han river. Municipal authorities claimed to have adequately compensated and resettled local residents. In recent years, many farmers and urban residents in Da Nang and throughout Vietnam have complained about land seizures and organized small protest movements. “unfair compensation caused a self-immolation (of a young engineer) in Vietnam” is more precisely for the title. More than a hundred households had to move to a few resettled areas, but this man, Pham Thanh Son, and his family decided to stay to fight for more compensation. Unfortunately, time was up, the city had to move his property away and eventually they’re going to demolish his house. Definitely an unexpected, unwise and poor-planned self-immolation and I feel bad for his family.